Choose themes specifically designed for wedding planners. Whether you are a one person shop or have a full staff, your site will be professional and express the personality of your business. Weddings can be stressful, but booking an appointment with a wedding planner shouldn’t have to be. With our easy to use online appointment scheduling, your clients will no longer have to deal with the hassle of making phone calls in an effort to get ahold of you. Your wedding planning business will begin to see an increase in sales with the publication of your professional website and the convenience that online appointment scheduling offers both you and your clients. 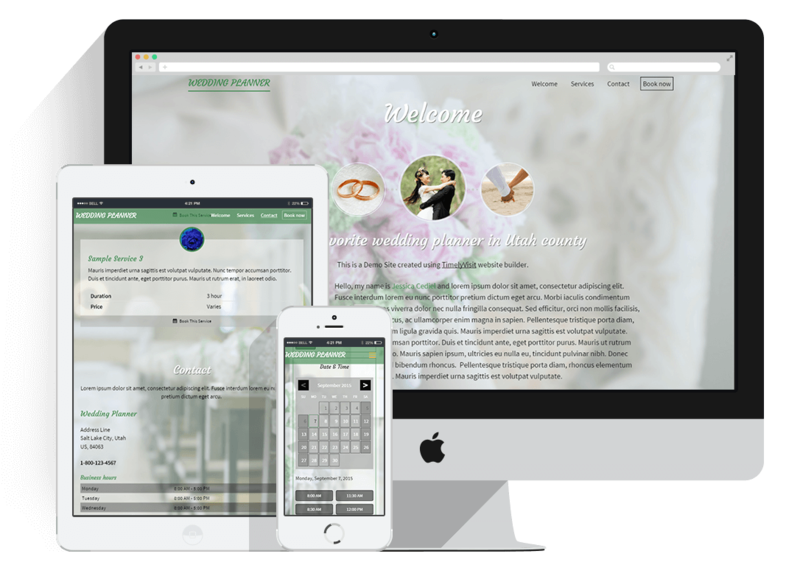 Spend more time making a couples dream come true and less time on the phone when you create a professional wedding planner website.